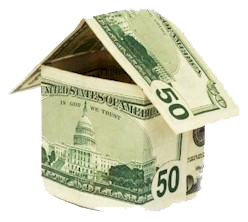 Enables homeowners age 62 and older to use approximately 50% of the equity they have in their home, tax-free. No repayment is required until the home is no longer their principal residence. Helps seniors who are house-rich and cash-poor remain in their homes when they otherwise might be forced to sell. Loan balance continues to grow because interest and FHA-insurance fees accrue. This gradually reduces the home’s equity. For additional information, see AARP’s website at www.aarp.org / call AARP at 1-800-209-8085.